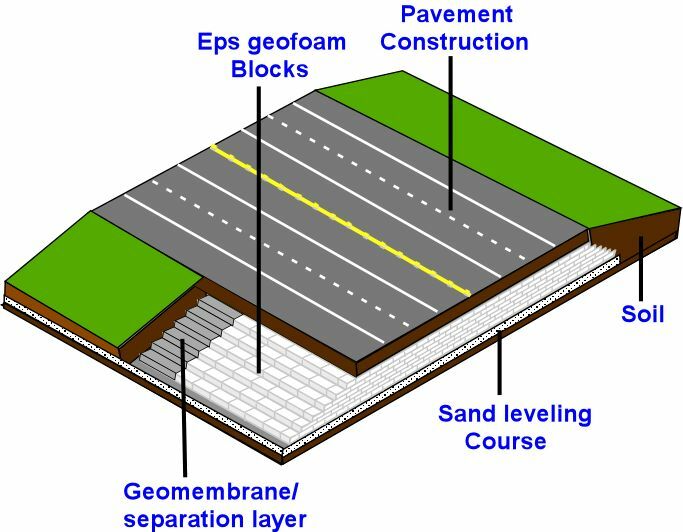 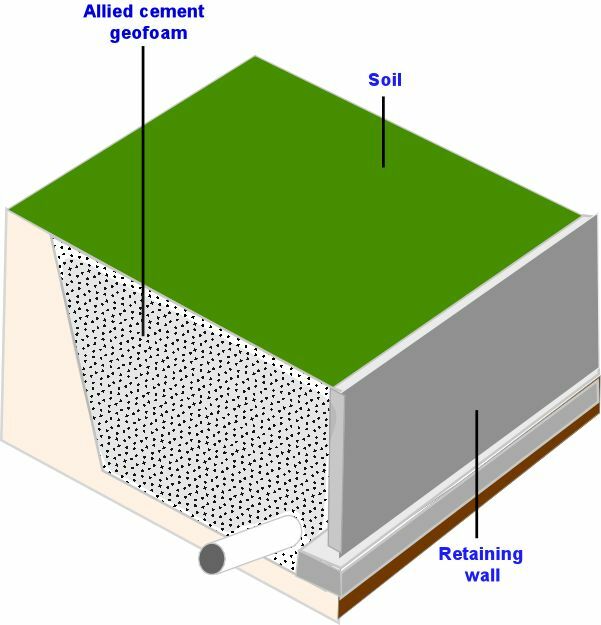 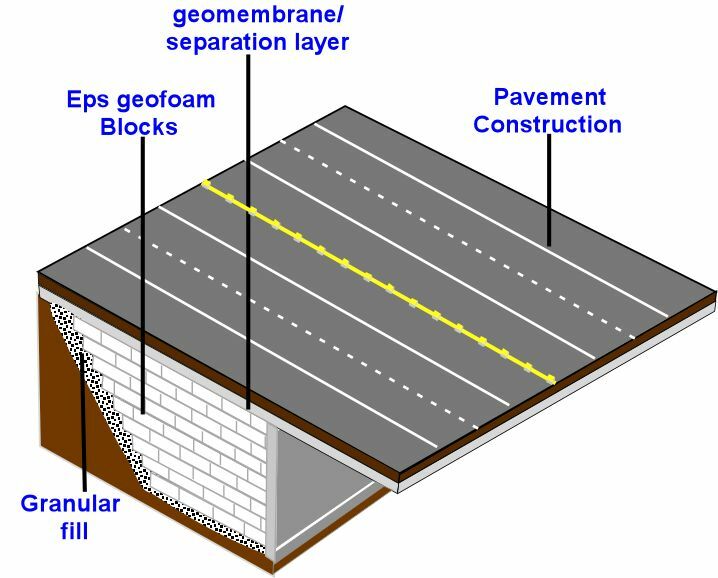 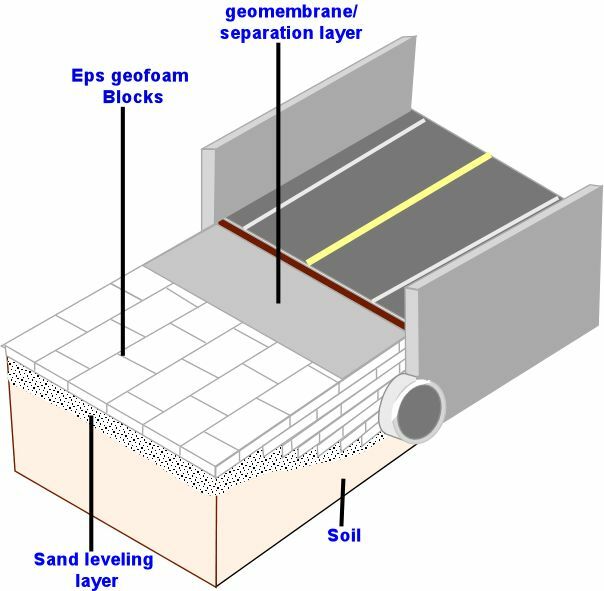 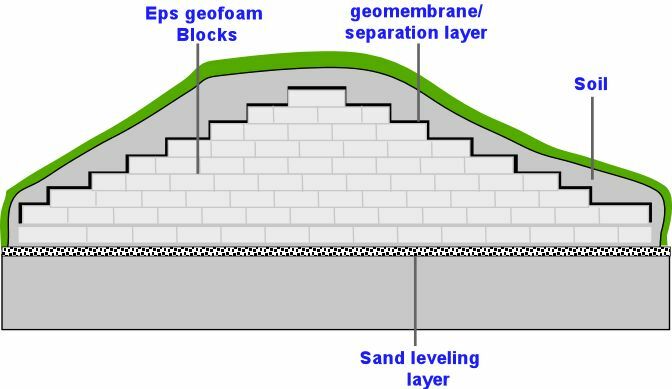 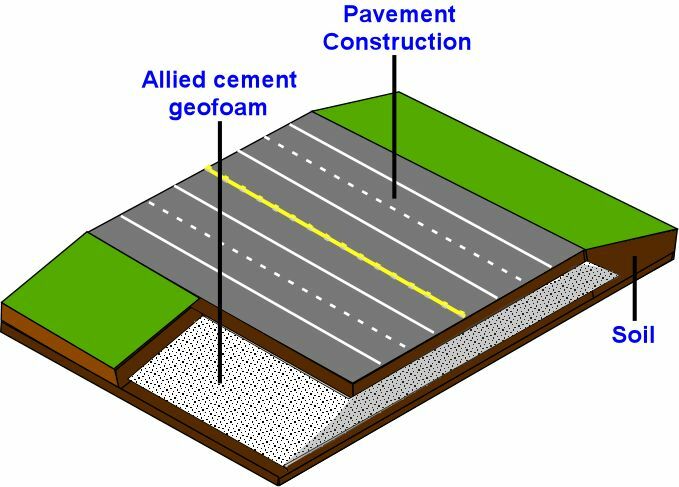 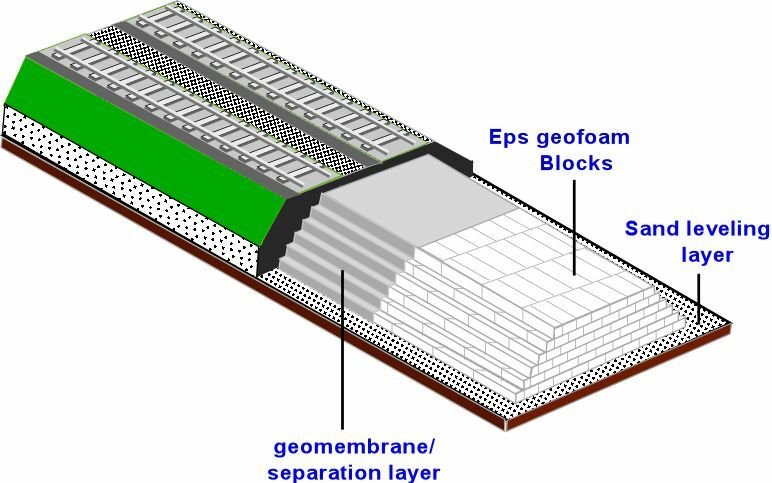  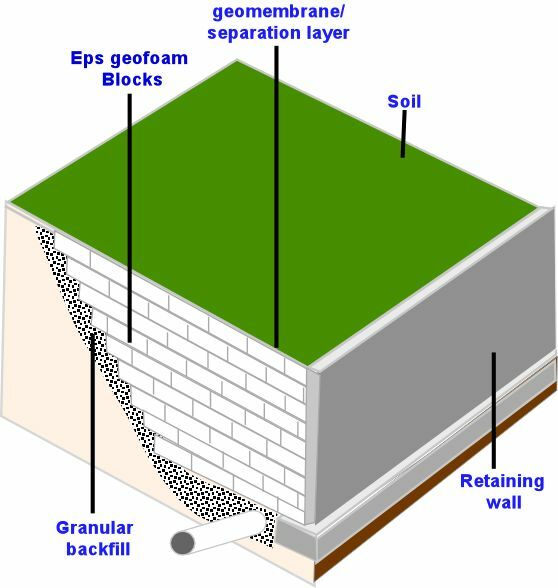 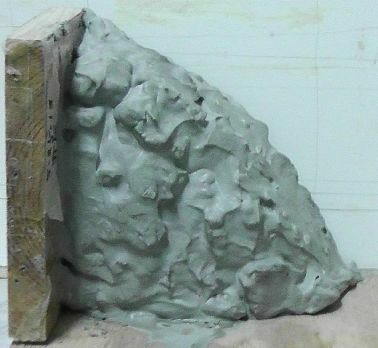 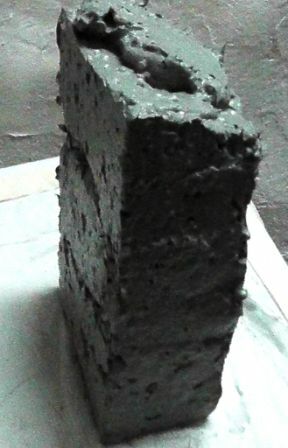 Allied "Cement Geofoam" will greatly simplify the application and cost relative to the "Expanded Polystyrene (eps) Geofoam"
* Higher compressive strength can easily be reached by a slight density increase of Allied Cement Geofoam, e.g. 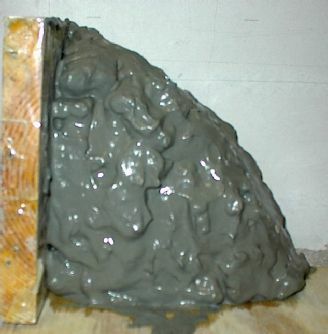 85 psi at a density of 16 pcf. 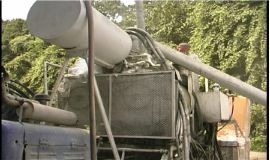 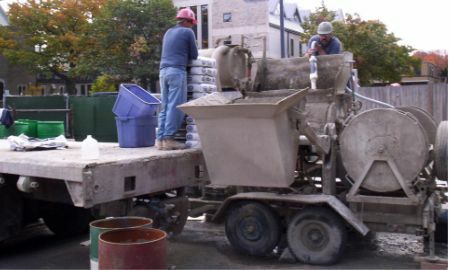 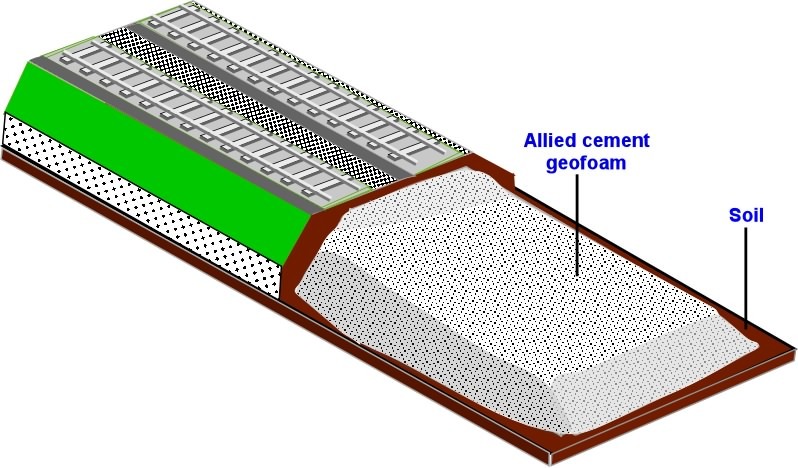 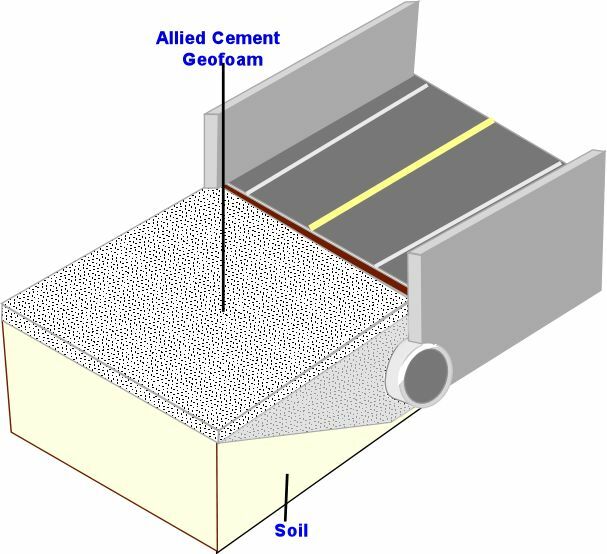 The World's 1st Low Slump Cement Geotechnical Roof Fill used Allied's Cement Composite Design, Foam Products & Machinery. 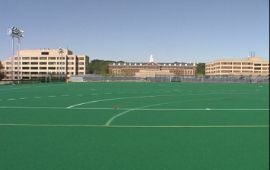 The award winning facility places more than half the total square footage of the facility below grade, and incorporates three functioning green roofs. 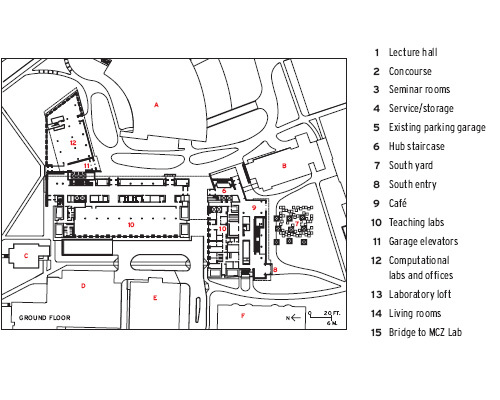 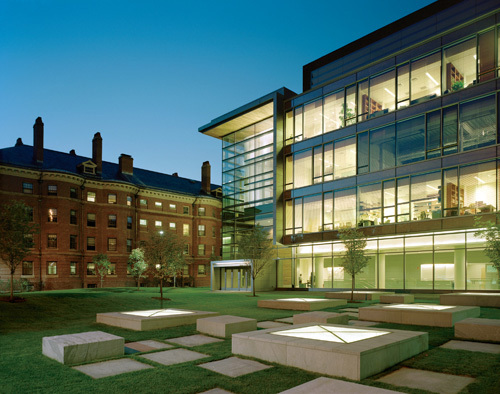 The south façade of the Northwest Science Building defines a new South Yard, equipped with low landscape furniture. 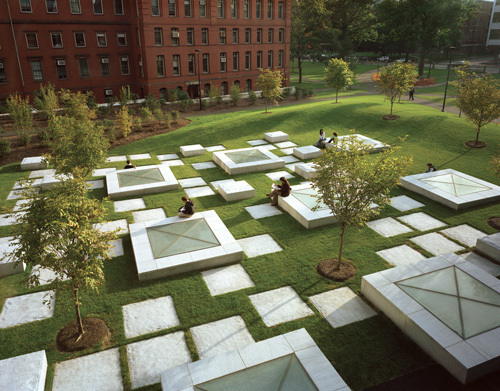 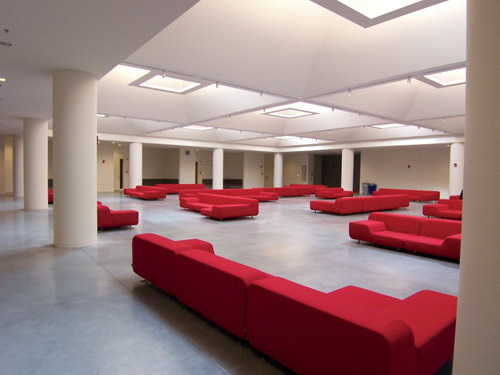 The yard is a green roof over extensive basement levels, with skylights bringing daylight into the underground areas. 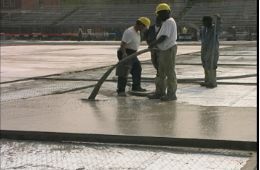 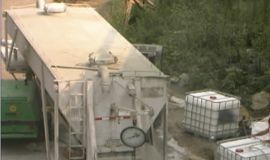 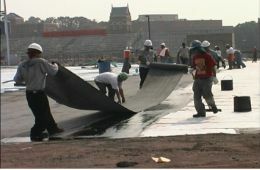 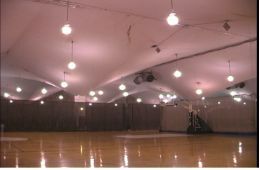 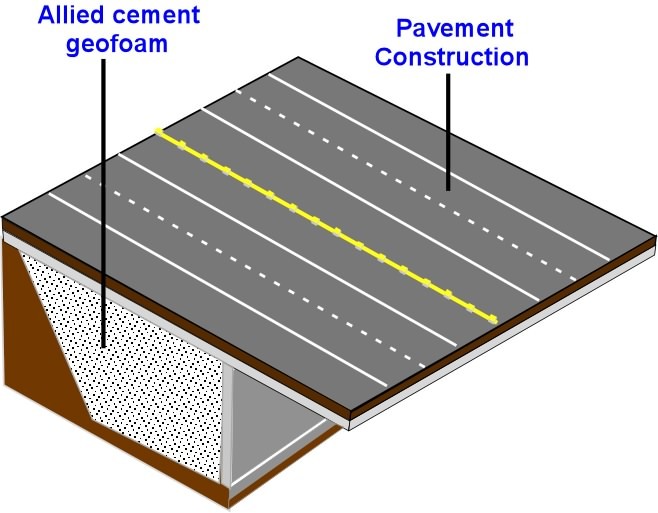 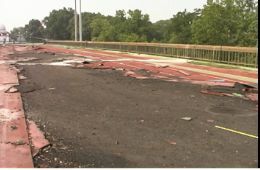 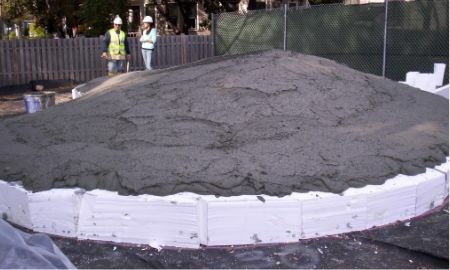 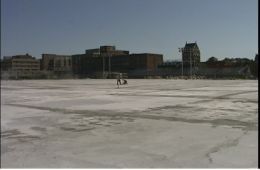 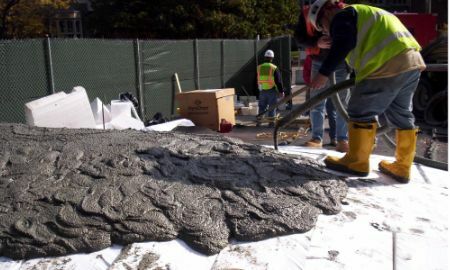 Another example of low load pavement with Allied low density and yet high strength foam cement is shown by a recently renovated sports field on the roof of an existing gymnasium-120,000 square foot coverage with foamed cement pumped 2 stories in height and 500 feet across the entire field.